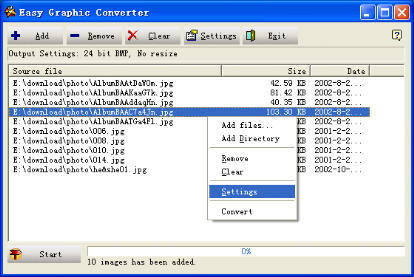 Screenshot of Easy Graphic Converter: free image converter, thumbnails maker. Convert image files between 15 popular graphic formats, make thumbnails quickly and easily! Totally Free!